Olufamous-There is fire on the mountain. The Boko Haram fundamentalist sect has seized five North-Eastern towns in a space of five days, killing hundreds and leaving thousands of residents fleeing for safety as it continues its quest to establish a caliphate in the country. Bara, Banki and Gulak in Borno State, while Madagali and Bama were seized in Adamawa State. [Add Michika In Adamawa]Bama was seized by the rampaging terrorist group on September 1 and Banki overran the next day. On the 3rd day of September, Bara, another town in the North-East was captured by the invading Islamist militants. Gulak and Madagali fell to the militants on Saturday. The Secretary to Adamawa Government, Prof. Liman Tukur, on Saturday confirmed the capitulation of Gulak and Madagali. During the attacks, the sect reportedly burnt down the residence of a former Special Adviser to the President on Political Matters, Dr. Ahmed Gulak in Gula. 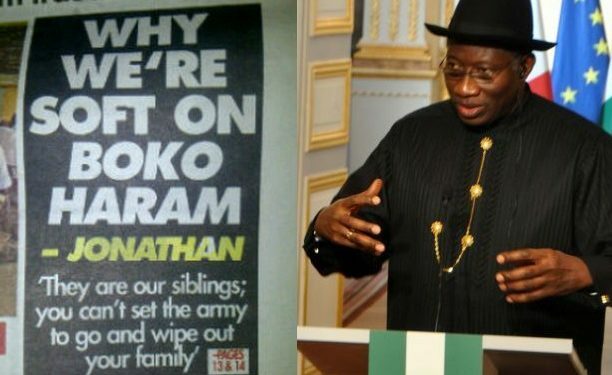 So, what happened to all the sweet talks from Nigerian military and the Federal Government? Data from different population websites show that the five towns have a combined population figure of 170, 743; Bama -118,121; Madagali -12,919; Bara -11,673; Banki – 4,935; Gulaki -23,095. [Add Michika In Adamawa]Earlier in July, the sect had displaced thousands of people after it seized six other towns in Borno and Yobe states. The towns included Dikwa -29,026; Buni Yadi -4,768; Gamboru Ngala -240,000; Gwoza -15,176; Damboa -233,200 and Marte -15,707 with a total population of 537,877. Another source also said the rampaging insurgents razed the residence of the acting Governor of Adamawa State, Adamu Fintiri in the town. Both Gulak and Fintirin are indigenes of Gulak community. Reports from Michika, headquarters of Michika local council which borders Madagali local government area, showed that residents of some villages were fleeing to Uba, Mubi and Yola towns out of fear of possible attacks.Prof. Liman Tukur in a statement said the insurgents killed and displaced many people in the towns during their attacks. He said, “It has come to the attention of the Adamawa State Government that insurgents are now in Gulak, the headquarters of Madagali Local Government Area and had killed and displaced scores of people. “On behalf of the people and government of Adamawa, we deeply sympathise with the people of Gulak and other surrounding villages and towns whose areas have been overran by insurgents. Punch’s efforts to get the Director of Defence Information, Maj. Gen Chris Olukolade, to comment on the new developments in Adamawa were not successful as calls to his mobile phone did not connect. Also, Olukolade had not responded to a text message on the issue as of the time of filing this report. However on Friday, the Defence Headquarters issued a statement to reassure Nigerians that the insurgents would be flushed out of Bama and Gwoza. At this point that Boko Haram is now taking over towns with impunity, we really need help.